It’s this passion for people and making personalities shine through the face that led Dr. Smith to focus in head and neck plastic surgery. It’s something that was modeled for him growing up in a doctor’s home. His father, a physician and teacher, told his first-year medical students to choose a field they truly enjoyed and they’d never have to “work” another day in their life. And that’s how Dr. Smith feels about what he’s built at Smith Cosmetic Surgery: its fun, it’s fulfilling, and it helps people look—and feel—beautiful. A perfectionist, Dr. Smith’s interest in building something beautiful started young. Often patients don’t realize how Dr. Smith goes the extra mile to create a natural looking outcome. “I’ve always been meticulous about attention to detail. I put in every stitch,” he says. To perfect his craft, Dr. Smith has earned more than a medical degree. 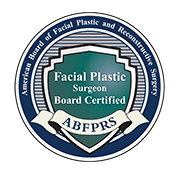 He’s certified by the American Board of Facial Plastic and Reconstructive Surgery and the American Board of Otolaryngology/Head and Neck surgery, and continues his education as he builds on 25 years in cosmetic facial surgery. 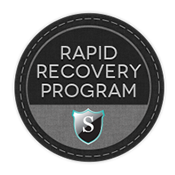 And to go back into the world a little faster, Dr. Smith has created the exclusive Rapid Recovery Program™, which uses a “supercharging” hyperbaric oxygen unit, as well as laser and LED-light to help patients heal quicker and happier—without missing the summer! Need more motivation? We’re offering 24 months 0% financing* through the end of August. *Credit approval is required through Care Credit. Limited-time financing not eligible in combination with other Smith Cosmetic Surgery discounts.